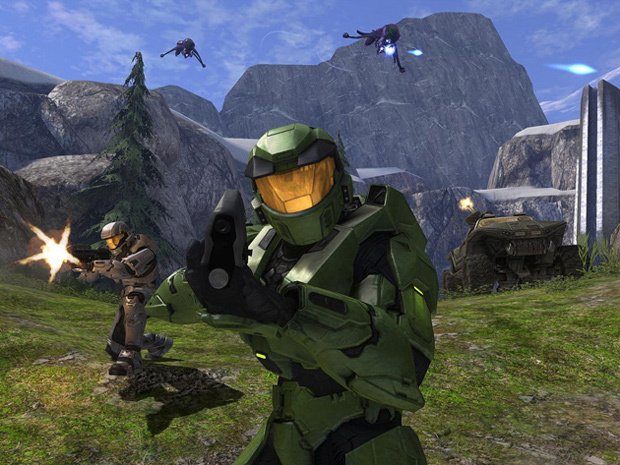 It looks like there will be a Halo: Combat Evolved re-make after all. So says mighty Joystiq. It’ll be available on November 15, 2011, 10 years to the day after the game’s original release for the Xbox. Oh, happy day! What can we expect with this re-make? Supposedly it’ll be running at a higher resolution, 1080p, but who knows if that’s 1080p native or merely upscaled like previous Halo 360 games. I’m certain gamers who exclusively use consoles have no idea what “HD gaming” truly means. Rumblings of a 3D mode, too, but if it’s running in 3D I can’t imagine how low the resolution would have to be. The Xbox 360 isn’t a top-of-the-line Nvidia GPU, you know. And it won’t necessarily just be a higher resolution, oh my no. The game’s developers, believed to be Saber Interactive, will be using entirely new art assets. She won’t be using the Reach engine, though. Mystery! Multi-player? Yup, at least online co-op. If true, and I’ve no read to believe it’s not true, I imagine E3 this year will be all about Halo. Hmm.